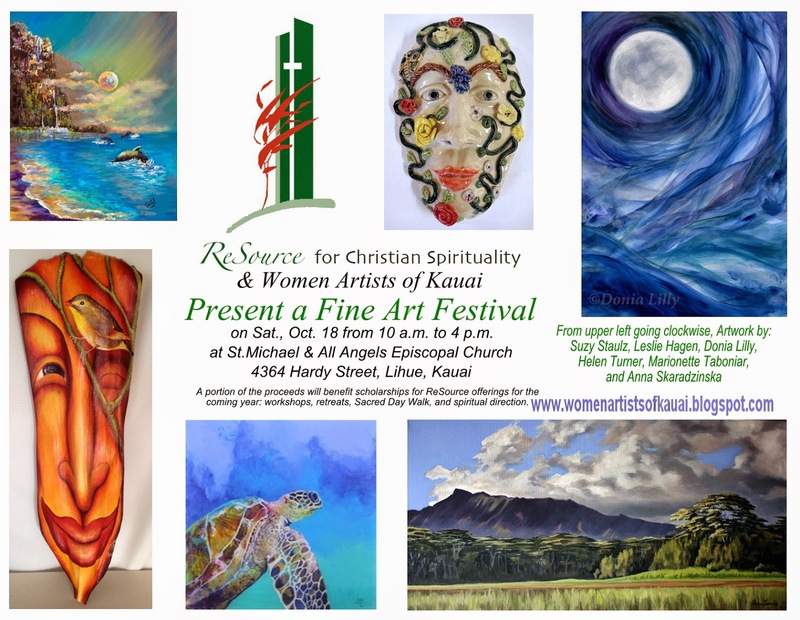 ReSource for Christian Spirituality and Women Artists of Kauai present a Fine Art Festival on Saturday, October 18, 2014 from 10 a.m. to 4 p.m. at St. Michael and All Angels Episcopal Church located at 4364 Hardy Street, Lihue, Kauai (next to the library). 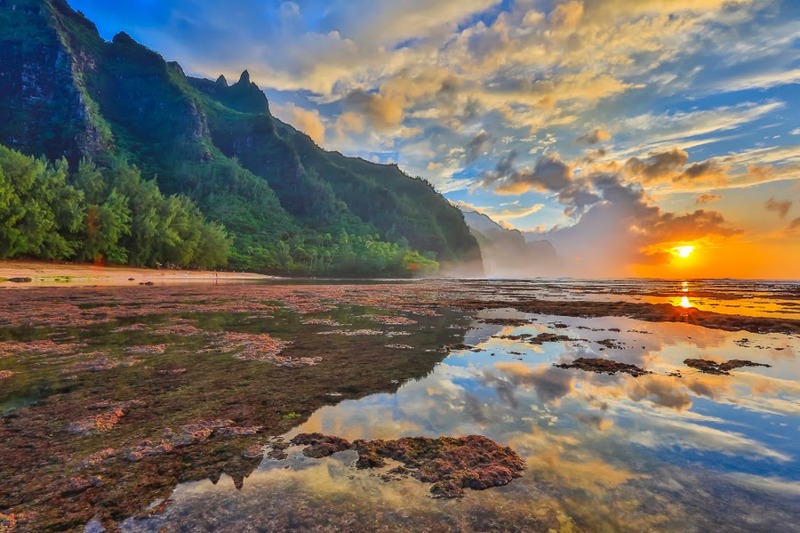 This is a great opportunity to meet and talk story with these professional artists of Kauai. 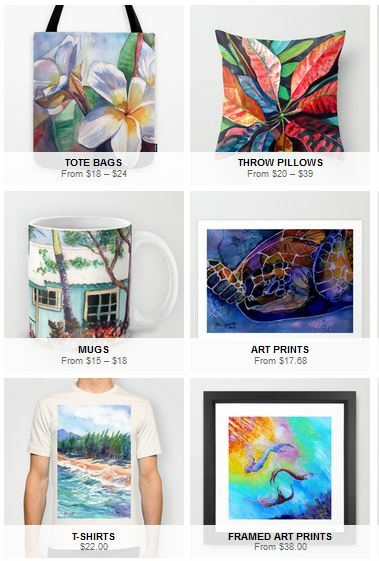 Original art and prints will be for sale with a percentage of the proceeds to benefit scholarships for ReSource offerings for the coming year: workshops, retreats, Sacred Day Walk, and spiritual direction. There will also be a bake sale and music! 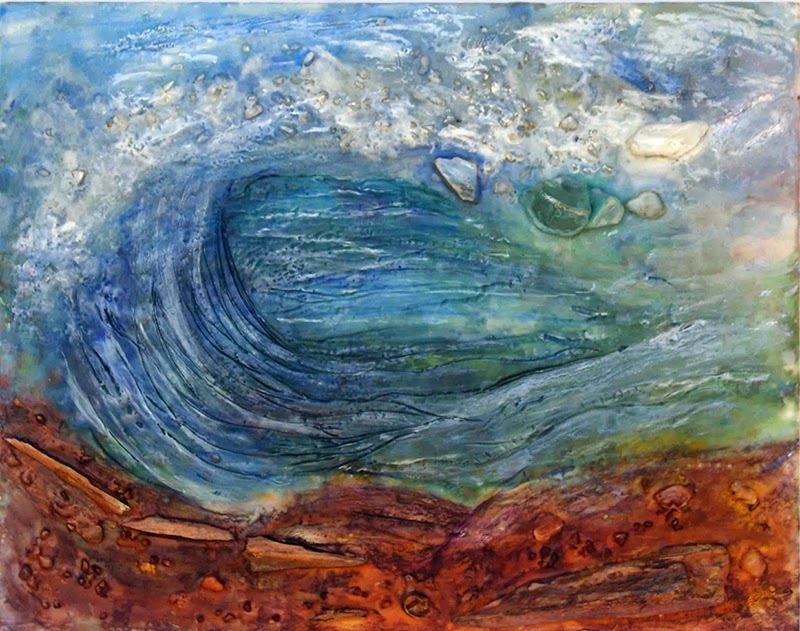 Please join us for a "Meet the Artists" reception with pupus and beverages on the evening of October 30, 2014. 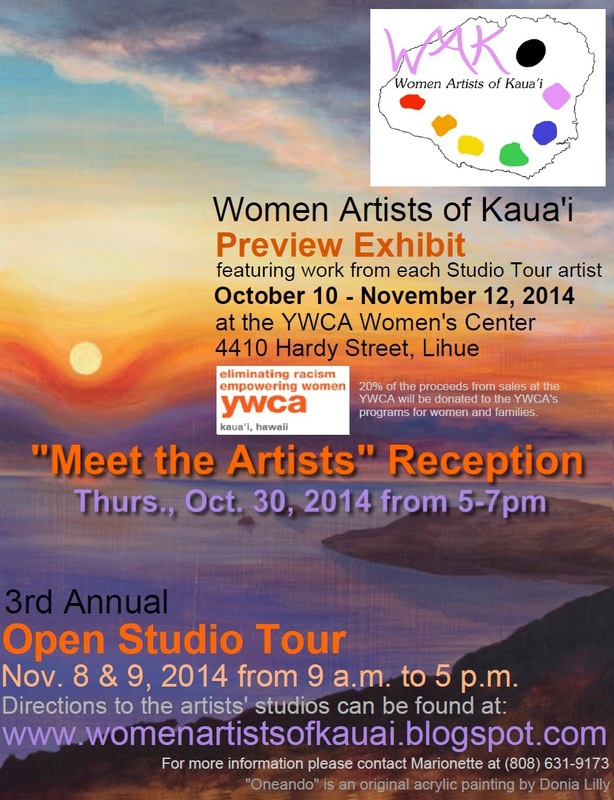 The Women Artists of Kauai Preview Exhibit will be available for viewing at the YWCA Women's Center from October 10 through November 12, 2014. There will be one piece of art for sale from each of the artists participating in our 3rd Annual 2014 Open Studio Tour and 20% of the proceeds from any sales at the YWCA will be donated to the YWCA's wonderful programs for women and families. There will be information about the Studio Tour available at the YWCA. 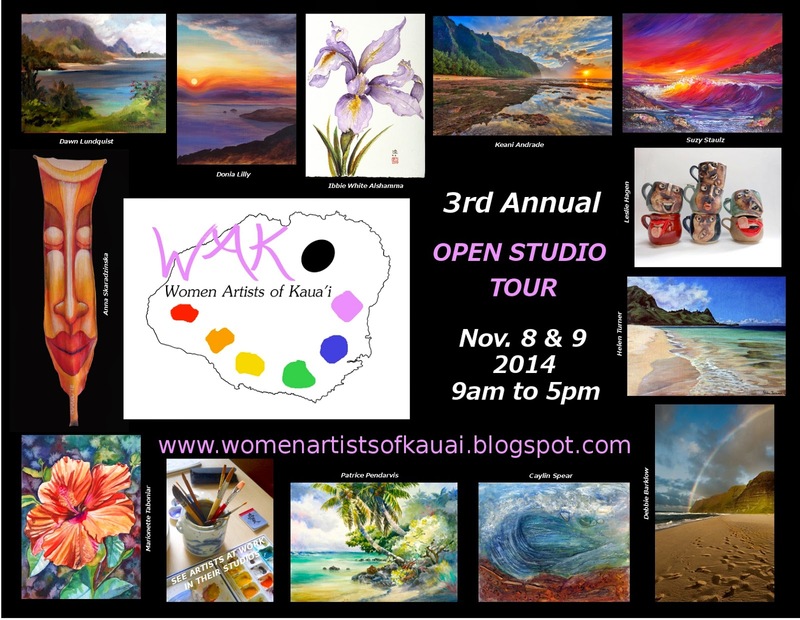 The Women Artists of Kauai will be having their 2014 3rd Annual Open Studio Tour on the weekend of November 8 and 9, 2014 from 9 a.m. to 5 p.m. This is a free, self driving tour. Visit each artist's studio at your own pace and talk story with them and/or their guest artist about their artistic process. 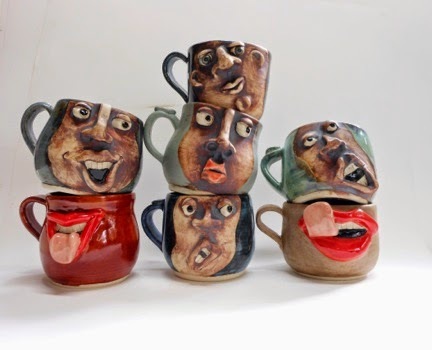 Many of the artists will also be demonstrating in their studio. This event is a fundraiser for the Zonta Club of Hanalei, and we will be donating 20% of our sales to their scholarship fund. Marionette Taboniar and Anna Skaradzinska will be showing at Marionette's studio, Painting Paradise, in Waimea Town at 9814 Kaumualii Hwy. Follow the main highway west into Waimea. The studio is located on the ocean side of the highway between Halepule and Moana Roads. Call (808) 631-9173 for directions. 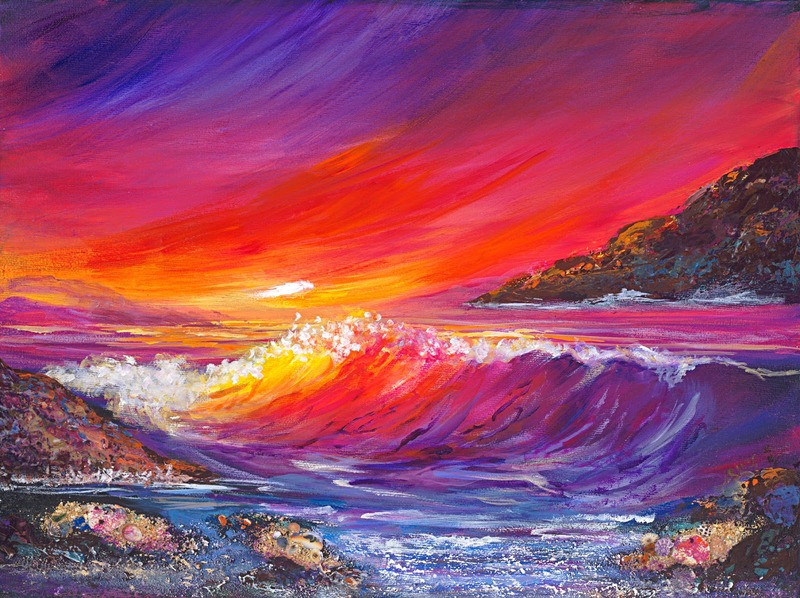 Patrice Pendarvis will be showing at Patrice Pendarvis Studio located at 5120 Kua Road in Lawai Valley. At the traffic light at Koloa Road and Kua Road, go towards the mountains a little over one mile. It is the last house on the right. Go into the property, turn immediately left at 5120A, drive on grass, park at sign. Walk up cement drive to studio entrance on left. Call (808) 635-2930 for directions. 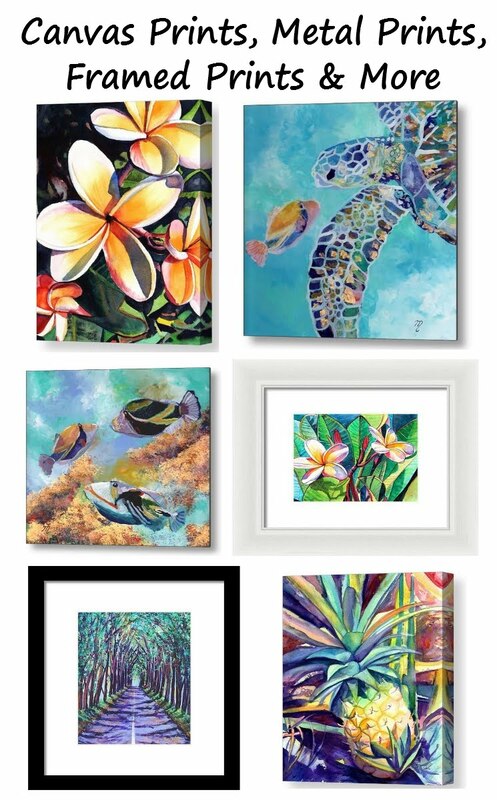 Debbie Barklow and Caylin Spear will be showing at Debbie's Gallery of Inspiring Images in Lihue. It is located off Kuhio Highway between Hilo Hattie's and Walmart. Turn mauka (towards the mountain) on Ehiku Street and go one and a half blocks down to the only building on the left side of the street. Call (808) 635-5971 for directions. 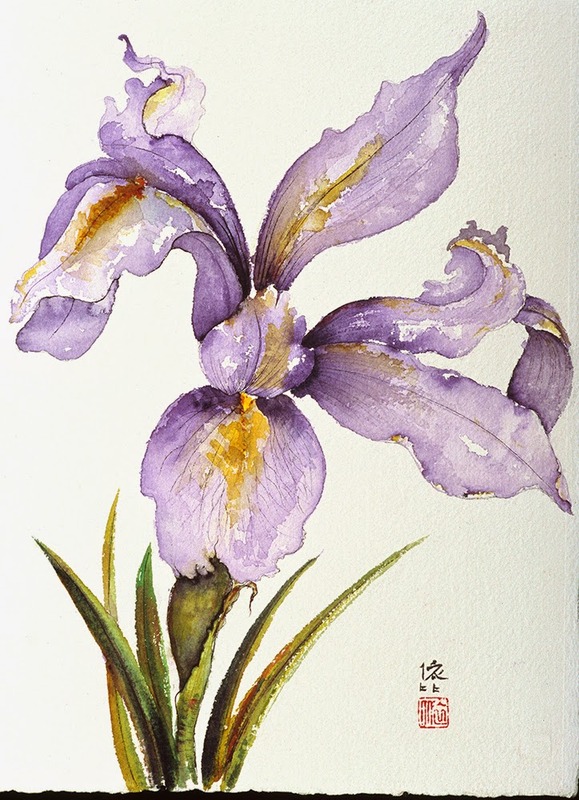 Caylin Spear: Nature is a constant inspiration for Caylin Spear in her mixed media, oil, and watercolor paintings. 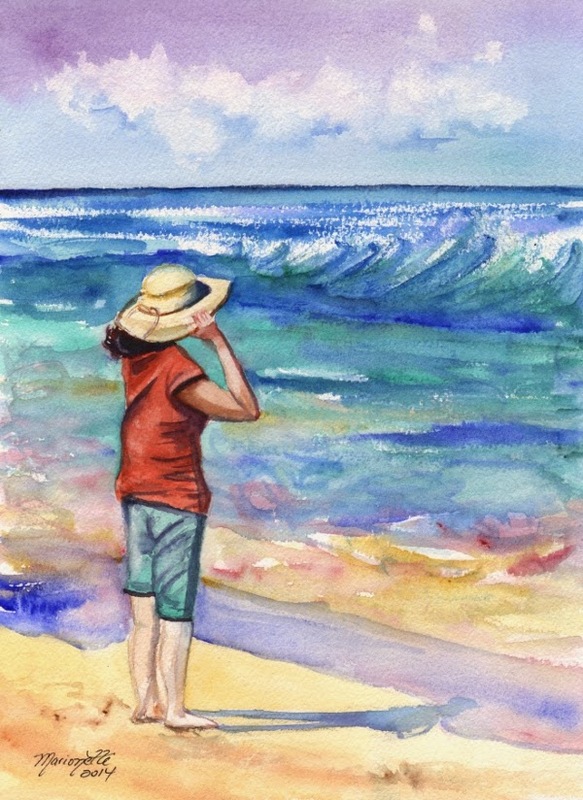 Surfing and being in the ocean has given her a physical freedom and joy that she shares with others through her artwork. www.caylinspear.com (808) 639-7324. 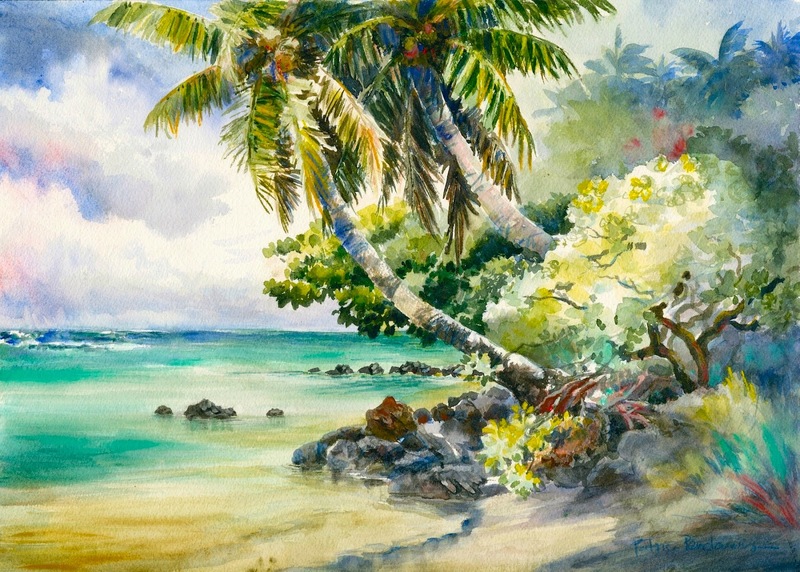 Suzy Staulz will be showing at her studio located in Wailua at 188 Lilia Place. It is located 2.2 miles up Kuamoo from the main highway at Coco Palms. Turn left at Lilia Place. Call (808) 651-4563 for directions. Leslie Hagen and Helen Turner will be showing at Leslie's studio (just a short drive up the road from Suzy's) at 6581 Kuamoo Road. It is about 4 miles up from Coco Palms on the left. Look for the black mailbox with white flowers. Call (808) 822-1558 for directions. 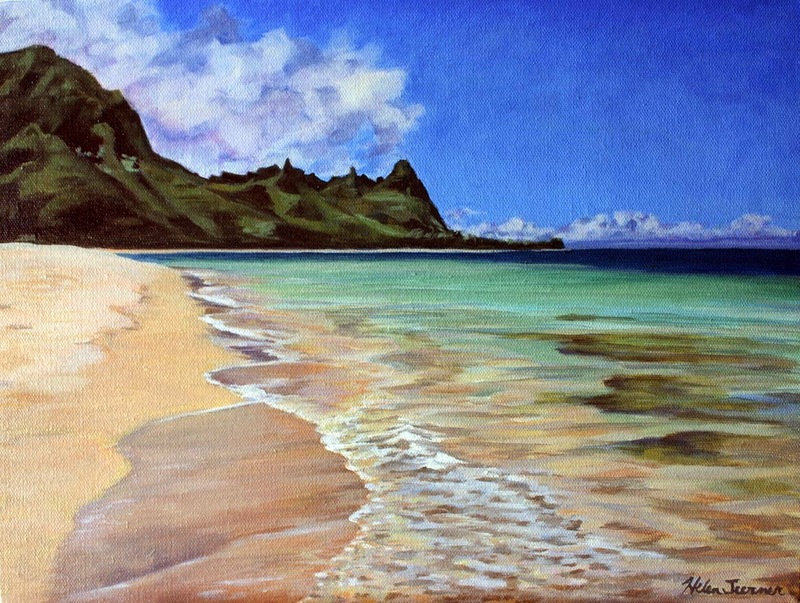 Keani Andrade will be showing at her studio in Anahola at 3882 Aopoonui Place. From the main highway, turn makai (towards the ocean) on Kukuihale Road. Drive past Kanuikapono Learning Center. Turn right on Laula and then take next left an at Holoikalapa Street, and left again on Aopoonui Place. Please note: This is a new subdivision, and the street named Aopoonui Place may not be labelled on an internet map yet. Call (808) 635-3214 for directions. 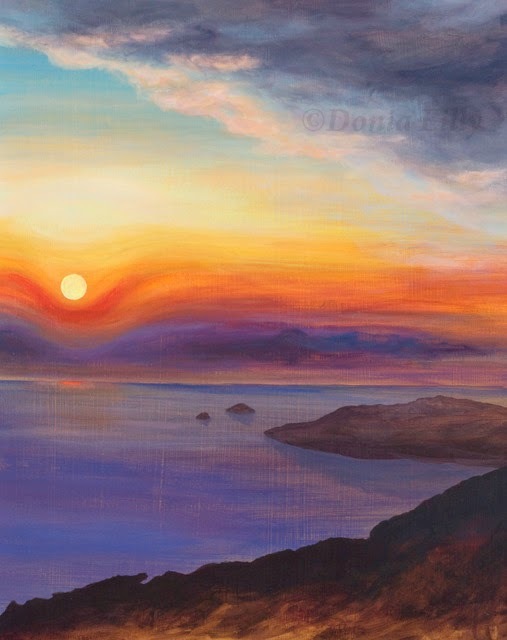 Ibbie White Alshamma and Donia Lilly will be showing at Ibbie's studio in Kilauea at 4620 Kapuna Road. From the main highway, turn mauka(towards the mountain) on Kapuna Road. It is near mile marker 19. Go 0.3 miles to 4620. Park and walk in gravel driveway through the copper gate. Call (808) 828-0354 for directions. 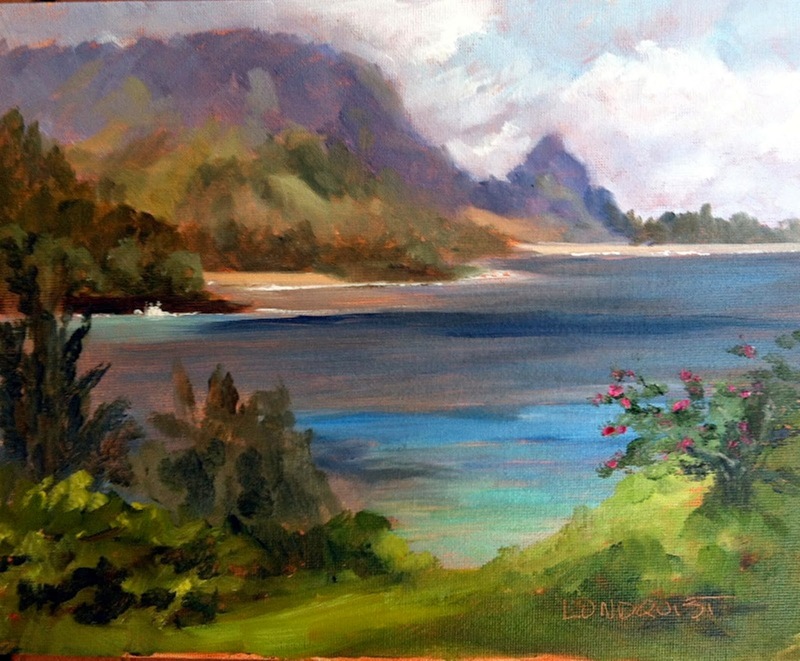 Dawn Lundquist will be showing at Lundquist Studios in Princeville at 5359 Honoiki Road. From the main highway, enter Princeville on Ka Haku. 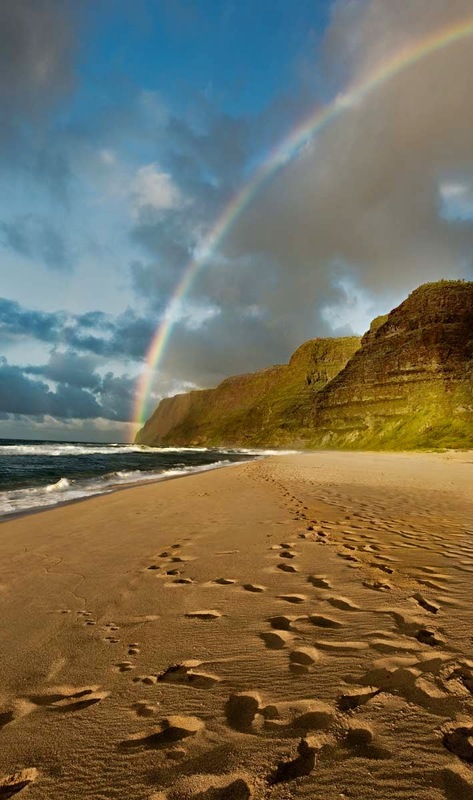 Drive to Liholiho, turn left and follow signs to Hanalei Bay Resort. Turn right onto Honoiki Road. It is the yellow house on the left two doors before Hanalei Bay Resort. Call (808) 635-2785 for directions.